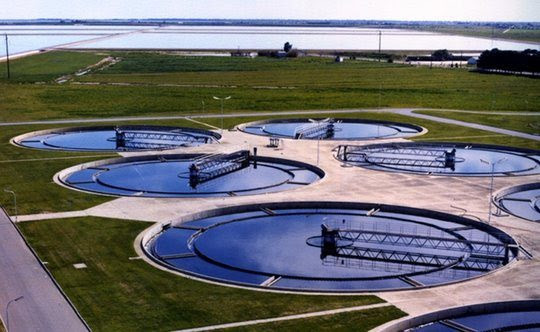 Bolivar WWTP consists of three treatment plants which receive about 70% of Adelaide’s wastewater which equates to about 140 Million Litres per day or 5 bathtubs a second. We recycle up to 20 Billion liters of treated wastewater per year which is sometimes up to half of what is received by the major treatment’s plants in Adelaide. As by-products of the treatment process, we also generate over 35,000 tonnes of biosolids a year which are used in agriculture for improved soil condition & productivity. This process also creates enough methane to generate around 15 gigawatts per hour of power per year. That's about half of all of the energy needs for all three plants major wastewater treatments plants servicing Adelaide. We will be meeting at SA Water House Foyer at 8:30 am for coffee and a muffin with the bus leaving for the Bolivar at 9:00 am Sharp and return to SA Water House by 12noon. Please ensure you wear safety shoes or covered shoes if you do not have safety shoes. High-Vis vest or similar and safety glasses are also required for entry to the site. We have some limited numbers of these items so please bring your own if you have them. To log in to your profile click here. Not a member of ALGA?